As the season draws to a close Tranmere are within inches of reaching the play offs and maybe even automatic promotion. 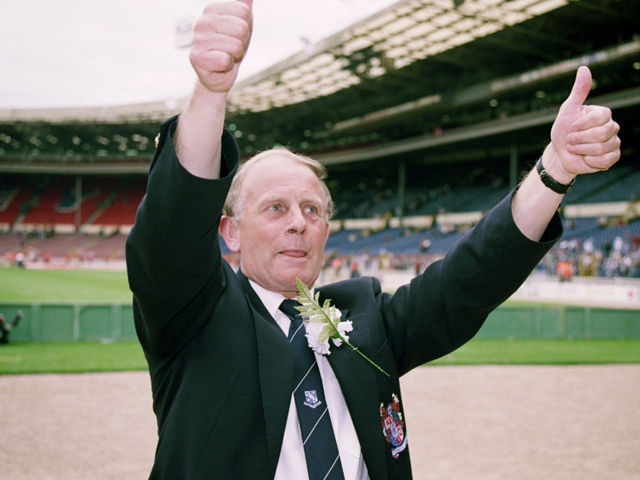 With a final push needed I thought it appropriate to talk about the greatest of all Tranmere’s legends Johnny King. No other Tranmere Manager has brought the success that John King brought to the Club. He took Tranmere from the bottom of the Football League to within touching distance of the top level of English Football. Along the way he even added a trophy and a Wembley victory. Although a true White, King wasn’t born on the Wirral or even Merseyside but instead Marylebone in London in 1938. However when war broke out in 1939 his family moved to Halewood. As a boy King was a true sportsman excelling in both Cricket and Athletics, as well as football. He was Liverpool Sprint Hurdle Champion, opening batter for Liverpool Boys and played football for Liverpool Schoolboys. In 1956 King signed for Everton as a part time player but also trained as a plumber and gas fitter. His first league game for the club was in 1957 against Preston a power at the time. After a short stint at Bournemouth King returned to Merseyside when Walter Galbraith the then Tranmere Manager offered him a contract. King was the lynch pin in the Tranmere team for his seven years at the Club. One of his crowning moments being the 1968 FA Cup run which ended in front of 60,000 Everton fans. King in 1968 joined Port Vale and later Wigan Athletic before he left football behind and became a window cleaner. But within 12 months Ron Yeats the then Tranmere Manager invited King back as a trainer. In 1975 Yeats was sacked and King was asked to manage Tranmere for the first time. After just one season at the helm King secured promotion into the Third Division. However by 1980 the club was still stuck in the Third Division and had lost several key players leading to the club being relegated. King left the club. After a short break King went to manage Northwich Victoria and took them to Wembley twice in two years. After milling around a few other clubs and making Caernarfon a success full team King was invited back to Prenton Park in 1987. King had an uphill battle from day one as he had five games to keep Tranmere in the Football League. On the final day of the season Tranmere beat Exeter and secured their place in the Football League next season. After a season rebuilding the club Tranmere and King went from success to success. 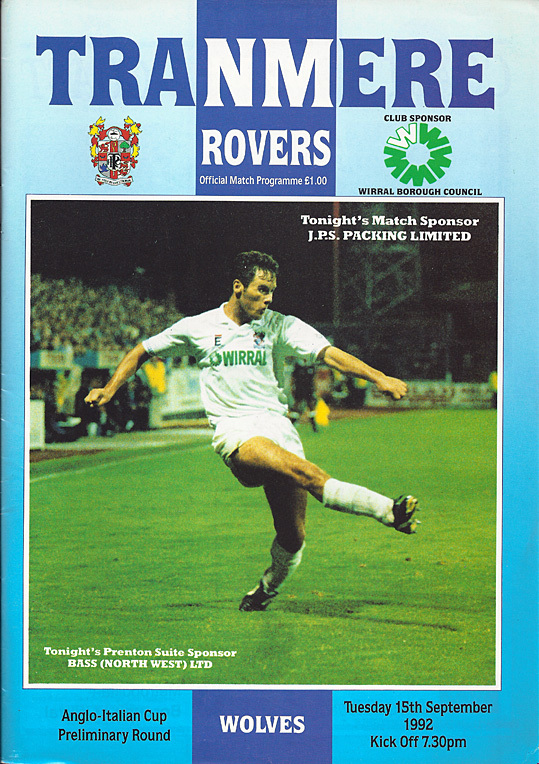 The new team was full of enthusiasm and Tranmere were promoted to the Third Division at the end of the 1988-89 season. The following season Tranmere finished fourth and made the play offs only to be cruelly denied promotion by Notts County. 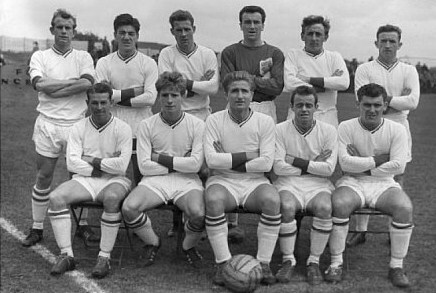 However Tranmere’s season was by no means a loss as they won the Club’s first major silverware since 1938 in the Leyland DAF Cup. 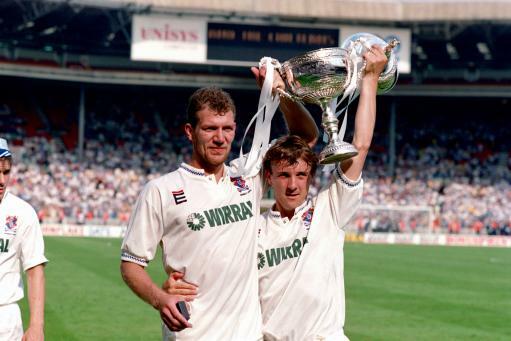 In 1991 King led Tranmere to the Second Division after beating old rivals Bolton in the playoff finals 1-0. 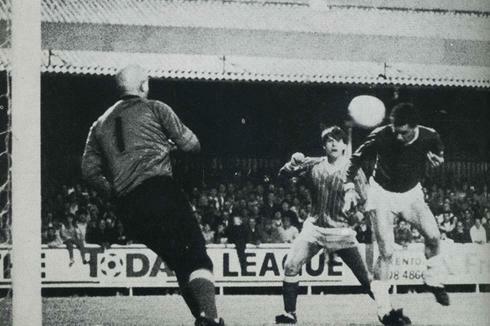 That season saw King take Tranmere to Wembley for the fourth time as the Club made the final of the Leyland DAF Cup for a second season but sadly lost 3-2 to Birmingham City. With King at the helm Tranmere were within touching distance of the Premier League and in 1993 they reached the play offs only to be beaten by Swindon in the Semi Final. The following season they made the playoffs again but lost out to Leicester. In 1995 King made what would be his final push for promotion to the Premier League and once again made the playoff but again lost this time to Reading. John Aldridge was made player-manager the following season. 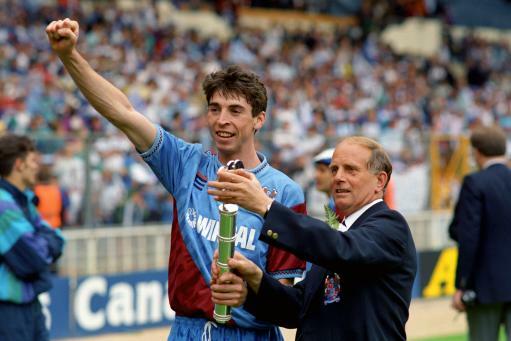 Although King did not secure promotion to the Premier League he inspired a run that saw Tranmere rise from the bottom of the Football League to in reach of the top. Even today his success is a source of inspiration and as we again push for promotion we should remember some of his wise words.